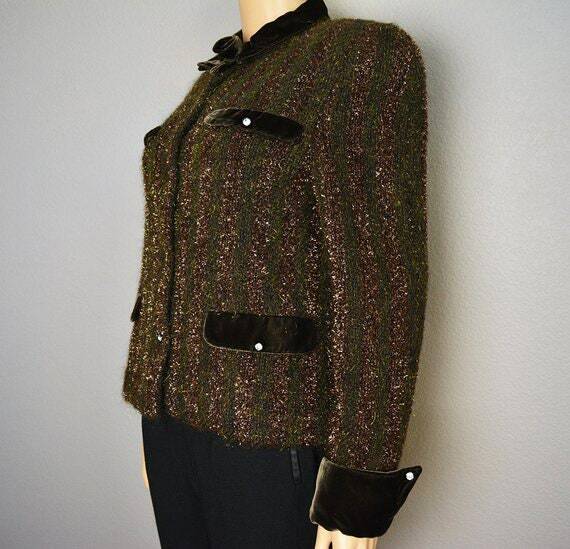 Gorgeous vintage Giorgio Grati designer jacket made in Italy. This is such a unique and special jacket. 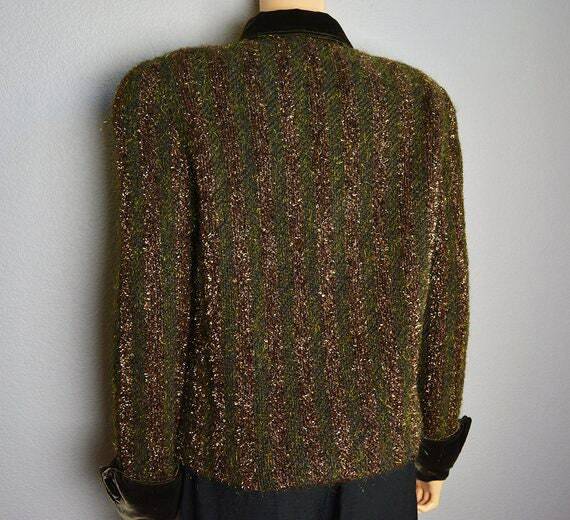 It is a thick knit with metallic gold threads and mohair. 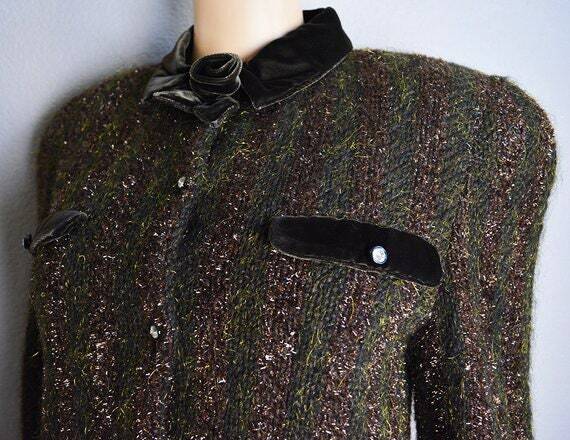 It also has sparkly rhinestone buttons. It is brown and green. 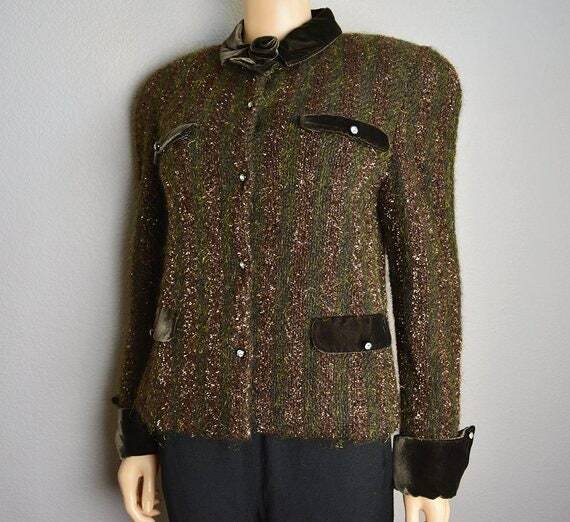 There are also velvet details such as the fake pocket flaps, the collar, and the cuffs. 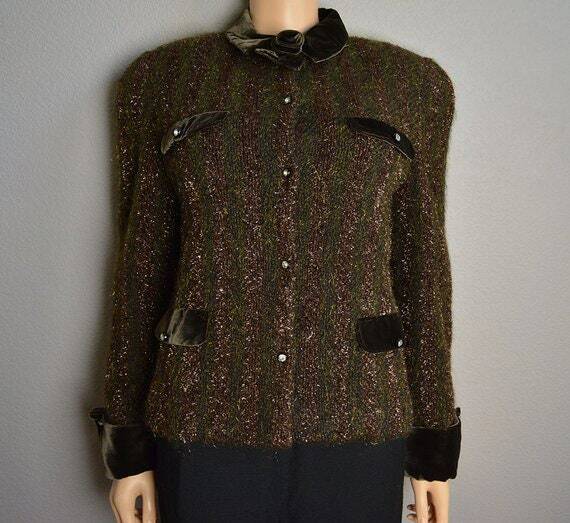 There are shoulder pads inside that are not removable without breaking into the lining of the jacket. It is in excellent vintage condition. This is an amazing find!